Plumbing - D.V. Brown & Associates, Inc. Plumbing - D.V. Brown & Associates, Inc.
Quality plumbing is essential to ensuring the health and convenience of a building’s occupants. 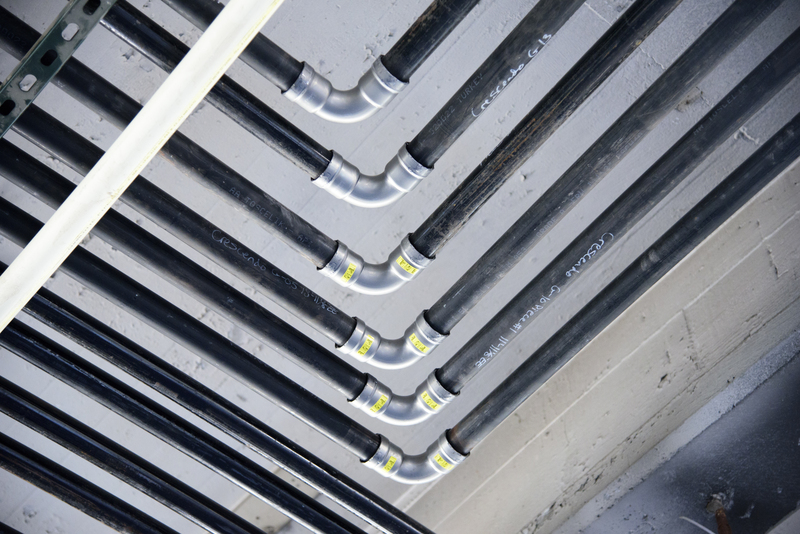 Through our use of cutting edge equipment and system-specific knowledge, DV Brown & Associates, Inc. (“DVB”) is positioned to offer superior field execution and design to ensure these vast, complex plumbing systems run safely and smoothly. Our design build and turnkey installation solutions serve all industries, from medical gas piping and water treatment plants, to simulating Amazonian life with a 25-foot waterfall in The Buffalo Zoo. Contact DVB to discuss your plumbing and other mechanical needs. 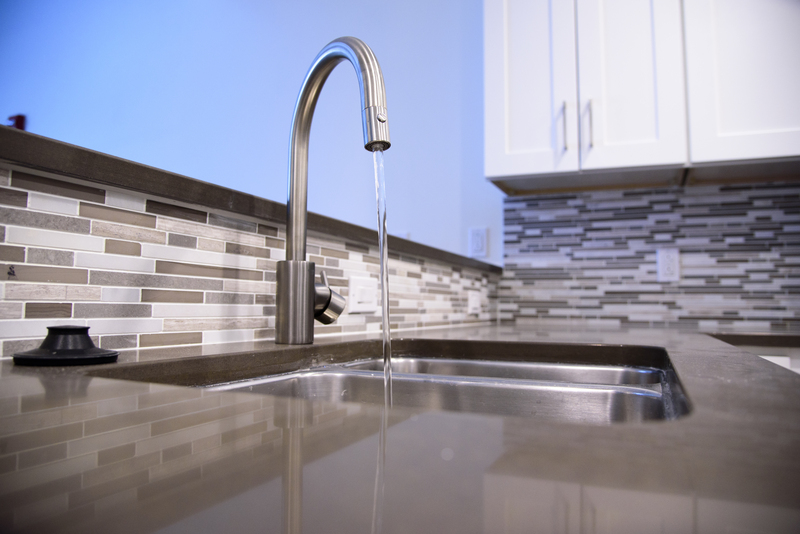 Our plumbers possess the experience, training and knowledge to handle anything from the smallest leak to the complete replacement of your system. Equipped with a highly skilled team of engineers, welding experts and other specialists as needed, DVB offers seamless coordination between all trades, enabling us to meet the challenges on a variety of projects. Our design build systems allow for a closer collaboration between the designer and builder, enabling faster production of a high-quality system, giving the owner a faster return on investment. 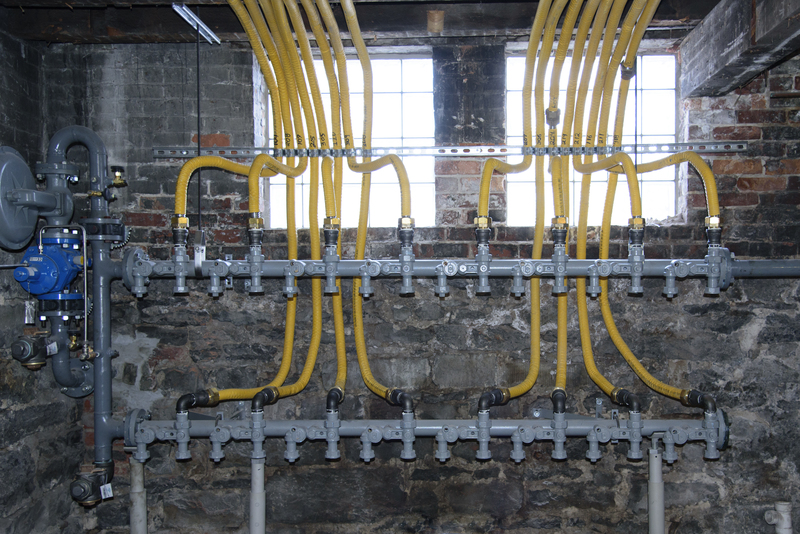 This process ensures a more efficient plumbing system, relative to the building’s individual specifications. We can repair, replace, install and service your water lines, sewer lines, drain lines, leader drains and sump line. Using state-of-the-art technology, we’re able to quickly identify the location of your underground pipe problem and resolve the issue, with minimal disturbance to your facility’s landscaping. We recommend that all commercial properties undergo annual backflow testing to make sure that only clean, drinkable water is flowing into the facility, and wastewater is flowing out without compromising any nearby waterways. We also install backflow preventers, which safeguards your water supply from contamination, whether you need to replace a defective one or one was never installed (which is often the case with old construction). Our plumbers and piping specialists undergo a rigorous certification process, especially when it comes to potentially hazardous systems, such as medical gas piping for hospitals. All piping is designed and installed under strict regulations and require frequent inspections. DVB’s fast and dependable 24-hour repair and maintenance services deliver quality sewer repair and maintenance with as little environmental impact as possible. From collapsed and corroded pipes to leaking joints or roots in the sewer line, DVB is armed with the latest tools and technology to solve all of your plumbing and drain problems. DVB will unclog your drain, recommend additional maintenance products and provide tips for keeping your drains flowing freely. DVB can install and repair all sewage and water treatment plants, which remove impurities and pollutants from your facility’s water and wastewater. With a highly skilled, diverse team of experts and the latest technology, DVB is positioned to meet the demand for all your piping needs, whether it’s your medical facilities’ sanitary piping system or your manufacturing plant’s chemical system. As part of DVB’s commitment to your total process improvement, we also design, build and install full utility systems to bolster your facility’s overall performance. Contact DVB to discuss all of your plumbing, process piping needs. We are fully licensed in all types of fabricated piping systems, and highly skilled with a variety of materials, including stainless steel, aluminum, jacketed piping, lined piping and more. Our process piping team is comprised of engineers, process systems experts, qualified installation technicians and other specialists as needed. Our multidisciplinary approach allows for seamless coordination between all trades, enabling us to meet the challenges on a variety of projects, while ensuring timely installations under strict quality standards that exceed client expectations in performance and ease of use. Adhering to the codes and standards of the pharmaceutical and food industries is of crucial importance when fabricating, installing and maintaining sanitary process piping. To that end, DVB has consistently aimed to meet those requirements, while upholding strict quality standards to ensure all sanitary piping systems are efficient and economical. We have over 30 years of experience in the fabrication, installation and maintenance of corrosion resistant food grade and pharmaceutical grade sanitary stainless steel piping for steam, air, wastewater and chemical distribution systems.